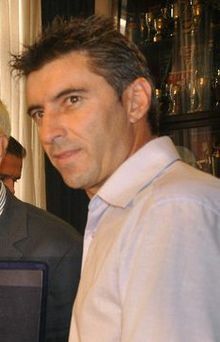 Theodoros Zagorakis (born 27 October 1971) is a former Greek football player. He has played for Greece national team. ↑ Strack-Zimmermann, Benjamin. "Theodoros Zagorakis". www.national-football-teams.com. ↑ "Theodoros Zagorakis - Century of International Appearances". www.rsssf.com.